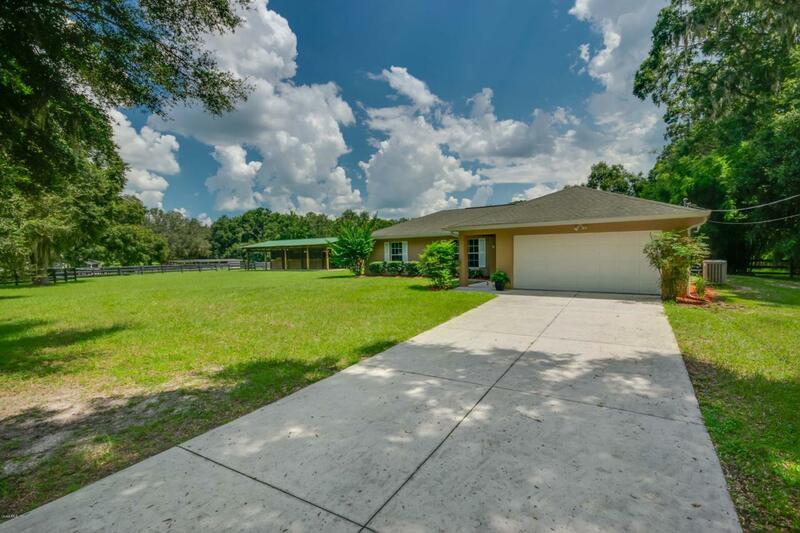 Misty Meadows Farm, this Turn Key mini farm has everything you need on 2 acres, the Adorable 3 bedroom 2 bath home has all new vinyl wood plank flooring and new paint inside and out with a cute open bright floor plan. The home opens up thru new french doors to a solar heated screened 30x15 pool. 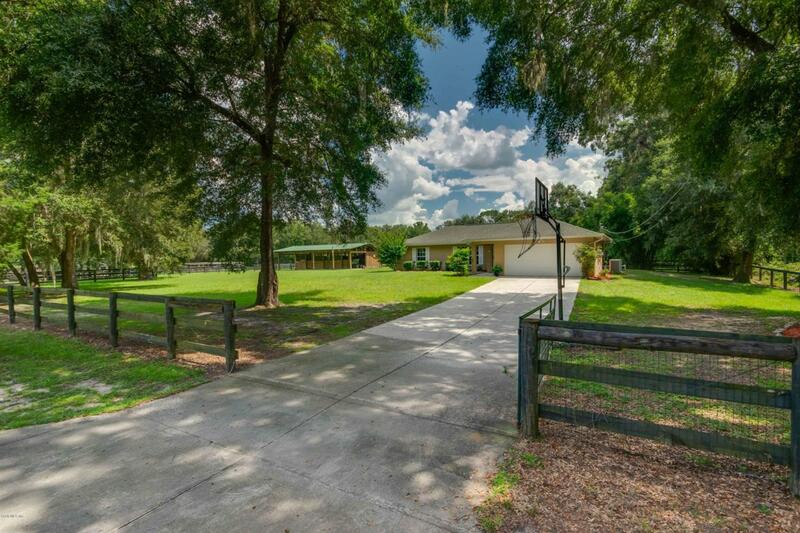 The property is fully fenced with 3 paddocks, and a 3 stall shed row barn with hay and equipment area. 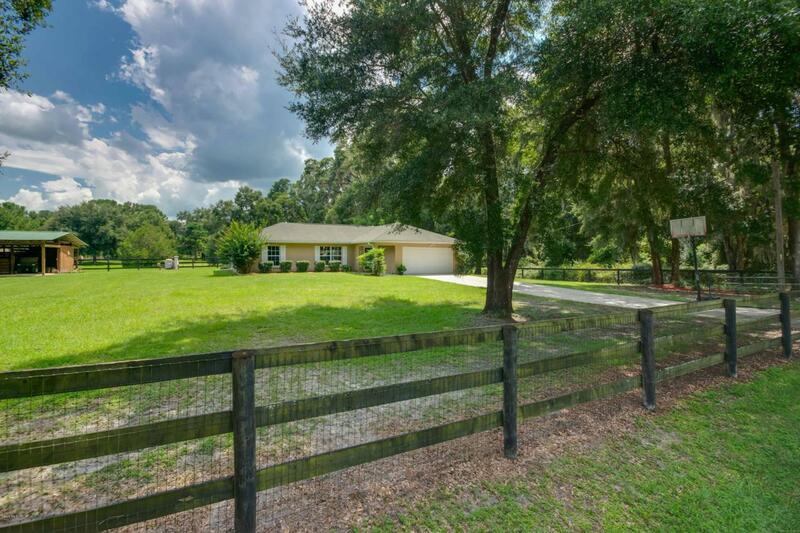 The perfect little farm is located minutes from the new World Equestrian Center, fabulous restaurants and shopping. This one won't last! 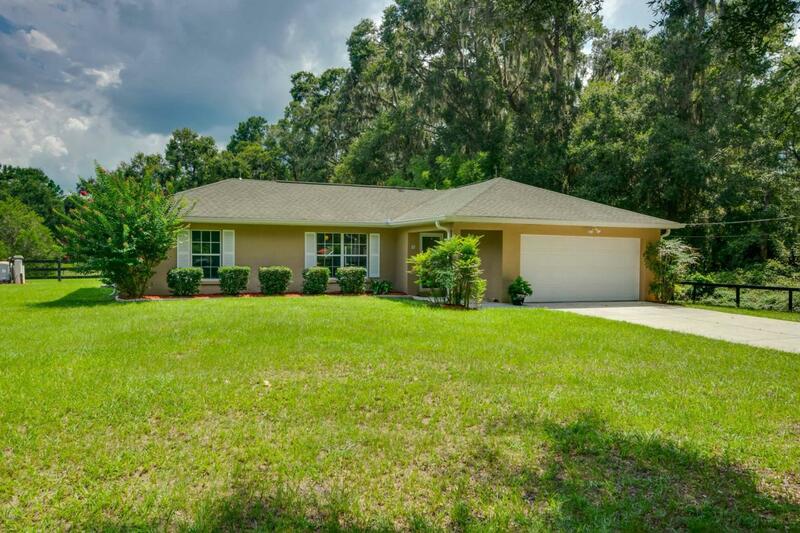 Listing provided courtesy of Mary Oneal of Showcase Properties Of Central Fl.